Even school campuses can make it to the UNESCO World Heritage List. 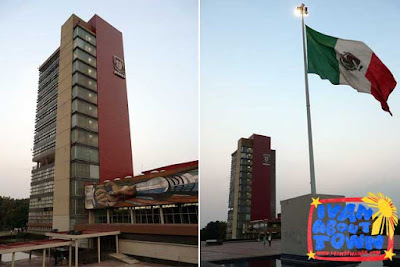 The Ciudad Universitaria (University City) of the Universidad Nacional Autónoma de México (UNAM) in Mexico City was inscribed in 2007. According to UNESCO, "The ensemble of buildings, sports facilities and open spaces of the Central University City Campus of the Universidad Nacional Autónoma de México (UNAM), was built from 1949 to 1952 by more than 60 architects, engineers and artists who were involved in the project. 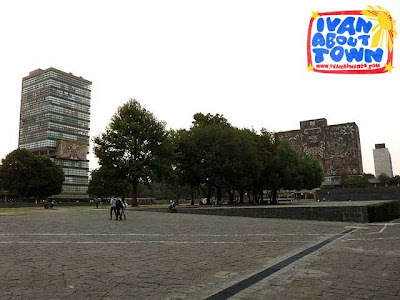 As a result, the campus constitutes a unique example of 20th-century modernism integrating urbanism, architecture, engineering, landscape design and fine arts with references to local traditions, especially to Mexico’s pre-Hispanic past. The ensemble embodies social and cultural values of universal significance and is one of the most significant icons of modernity in Latin America." Since we had time in transit between bus trips, we decided to rush over to UNAM to check out the famous campus. 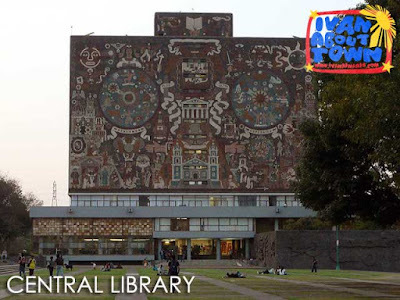 The most iconic buildings include the Rectorate Tower and the Central Library, decorated with murals made by David Alfaro Siqueiros (Rectorate Tower) and Juan O'Gorman (Central Library). Also in the heart of the campus is the 1968 Olympic Stadium which was also used during the 1986 Soccer World Cup. The mosaic at the entrance of the stadium and reliefs in the stands were done by Diego Rivera. Other attractions in UNAM include the Centro Cultural Universitario (CCU) where plays, film-showings and concerts are held and the Cuicuilco Archaeological Zone. Yes, the campus has ruins of what is believed to be the largest central settlement in Mesoamerica before the rise of Teotihuacán. Take the Metro to Universidad. Take exits D or F to access the free shuttle buses around campus. Bus No. 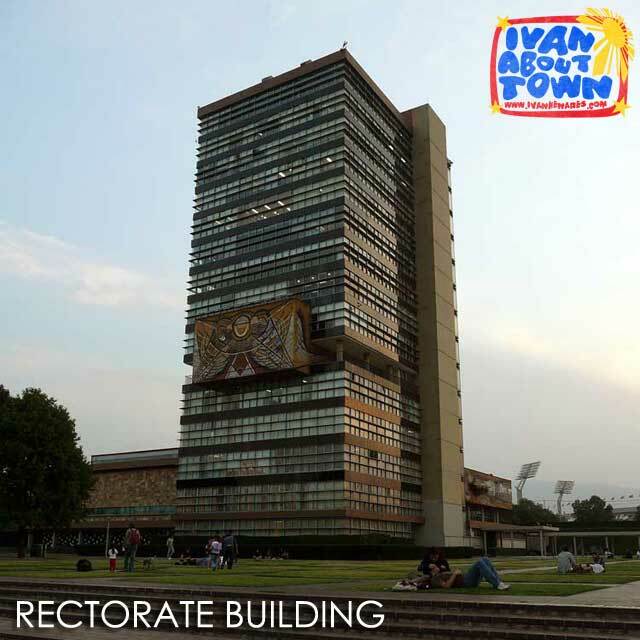 1 will take you to the center of the campus where the Rectorate Tower and Central Library can be found. From there you could walk to the Estadio Olympico. Bus No. 3 takes you to the CCU and Cuicuilco. The free shuttle buses don't run on weekends and during the summer break from late June to August. 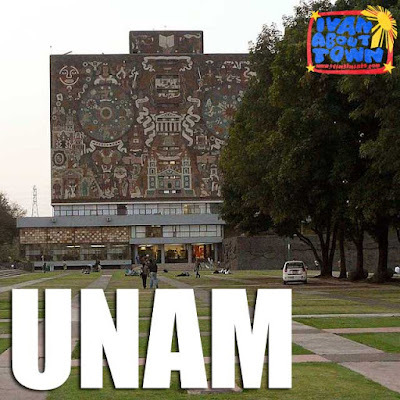 UNAM is one of Mexico City's top universities ( http://www.mexicocityvibes.com/university-of-mexico-city.html ). I strongly recommend studying there if you have the opportunity.